Well just a minimal update, I´ve been busy these days so this update is coming late. In second place, Thanks to Noltari from EOL forums, he made an awesome work on PL3 integration. You guys should take a look on his Howto Setup Cygwin to compile PSGrooPIC from Github. 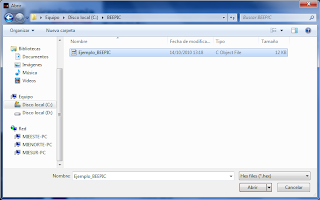 So now, PSGrooPIC is ready to be compiled in Windows with Cygwin, you could find SRC on Github. This latest release includes PL3 from Vidarino, and includes Xoeo PSN, SPOOF 3.50, etc. Just for FW 3.41 at this time. If someone needs FW3.15 go through TSC link, he ported Xoeo SRC to PICs. Don´t forget to buy me a beer if this blog was useful to you...! Thanks. PSGrooPIC V2.03 ... PSN / ONLINE Working! "PSN" and "Online" working on PSGrooPIC V2.03 (FWs 3.15 & 3.41)!! Thanks to 'Xoeo' for share it. And take care if bans begins...!! EDIT: Sorry guys!! Now its working properly! Now includes Mathieulh recomendations and Debug mode... enjoy it! I´ve recieved a bunch of emails requesting me to add all payloads supported on PL3, so here you have! I´ve fixed LED on DIY board (V1.2) too. And integrated compatibility with 2.76 Firmwares (waiting for RTOC_TABLE and SHELLCODE_ADDR). Another big new, PSGrooPIC is now in Github!! So now, community could make his own contributions to make this SRC grow ;) (I´m new on this stuff so sorry if I made something wrong...). From now on, SRC will be on github and I´ll put .HEX (that thing that you normally want) in this blog. Making and effort to make something like a standarized code, I´ve decided to use this new format for .hex files: "PSGrooPIC_BRD_FWXXX.hex"
Where BRD is a known board, this first release is ready to use with two boards: DIY (formally known as PSGrooPIC V1.2, no bootloader) and BEEPIC (from Microingenia Electronics guys, with bootloader). And FWXXX is Firmware subversion, at this time, PSGrooPIC V2 is compatible with 3.01, 3.10, 3.15 and 3.41. So guys, go to Download section to get your new .hex (PSGrooPIC V2.00) based on latest PL3. And remember, PL3 is working like a charm with Gaia Manager. As I promised to you, here I go with a little BEEPIC review. I´ve been using this board for two days (thanks mates!) and I think it´s really cool! Bootloader works great so there is no problem with upgrades, it´s not a dongle but who need it? I really hate ‘dongle makers’ that only want to take profit about scene does. So please people, stop supporting that ‘companies’. Well, let´s go with our stuff. Steps to make your BEEPIC work (‘inspired’ on BEEPIC Quick Start Guide). Video at the bottom. STEP 1: Connect BEEPIC to PC through a miniUSB cable. LED will shine in a fixed red color and you will get the following message (Installing device). STEP 2: Windows includes a standard driver for USB HID devices so installation will be done automatically. Clicking over the message we will obtain information about installation. STEP 3: Once completed, we will get a message indicating a successful BEEPIC driver installation. LED blink alternatively (red-green) indicating we are in ‘Bootloader Mode’. STEP 4: Download and open MiEUSBHIDLoader software. Probably you will need to install Microsoft “.Net Framework 4” and “Visual C++ 2010 redistributable x32”. 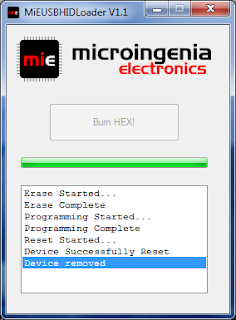 STEP 5: If BEEPIC trainer board is not connected, MiEUSBHIDLoader will be inactive. STEP 6: Once BEEPIC is attached to a PC and in ‘Bootloader Mode’, MiEUSBHIDLoader will detect automatically the board. STEP 7: Click on “Burn HEX!” and select desired .HEX file to load into BEEPIC trainer board. STEP 8: BEEPIC burning will start. 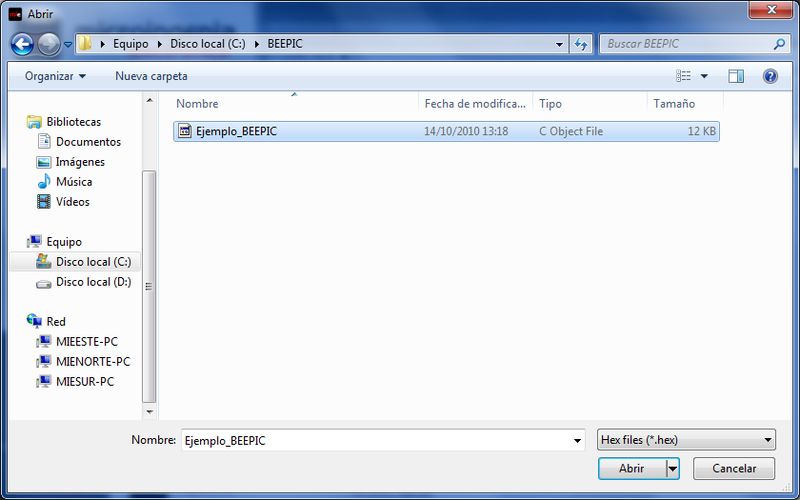 STEP 9: After programming, BEEPIC will be reset and will enter into ‘Program Mode’. If you desire to enter into ‘Bootloader Mode’ again, you have to press BEEPIC Reset button while you are in ‘Program Mode’. At Power on, BEEPIC will enter into ‘Program Mode’ always. Here you have a video showing the process. Enjoy!! - BEEPIC is a training board made around Open Source Hardware. - You can Download from Microingenia Electronics site Schematic, Bootloader (0x1000), Loader, and Manuals. - It´s only 19,95€, small and easy to use. Today I´ve recieved my BEEPIC from Microingenia Electronics guys! As you know this is a multipurpose trainer board based on PIC18F2550, with a preloaded USB HID bootloader. 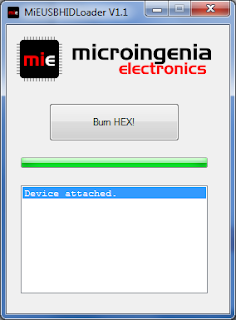 It´s open source hardware so you can get schematic, software and firmware from Microingenia Electronics website. I´ve connected BEEPIC to my computer, driver installed automatically and then loaded PSGrooPIC firmware with MiEUSBLoader V1.1 in just one second! You guys gonna love this piece of art. This is a beautiful, small (4,8cm x 2cm) and cheaper (19,95€) solution for PSGrooPIC, my next ‘wBTL releases’ will be renamed to use this hardware name. I think this will be a point to take a common hardware solution (remember is open hardware so you can make it on your home!). - Peek and Poke Syscalls. - Support for Syscall 8. - Support for Homebrew in /apps_home/PS3_GAME. - Syscall redirection 36 games to run diskless: /apps_home/PS3_GAME. - New Address 0x80000000007ff000 end of the payload at the end of the Kernel. - Waninkoko + Mathieulh: Retail PKG installation support + Game Updates fix. - Works on any Manager. - Support for Syscall 35. PSGrooPIC mark, Schematics, Source Code and text is given under: Attribution Non-Commercial Share Alike (CC-BY-NC-SA) Creative Commons License.